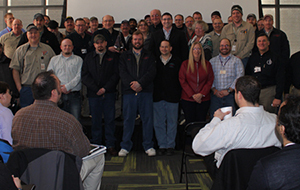 Congratulations to the Emergent BioSolutions facility in Lansing, Michigan, the 2013 NAME Award recipients. Click above for more. 2019 Applications are now available. Click above for more details. 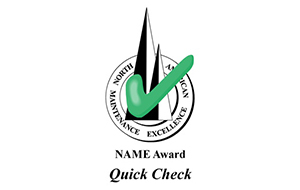 Welcome to the web site of the North American Maintenance Excellence Award program. This program recognizes North American organizations that excel in performing the maintenance process to enable operational excellence. Representatives of the FIME/NAME Award moderated a panel of past NAME Award winners during the 2017 the Mainstream Conference in Nashville, TN. In a break with tradition, a 2016 applicant from Hazira, India, one of the large chemical manufacturing sites of Reliance Industries Ltd. applied for, and won, the award. Reliance Industries Ltd. was awarded their trophy at the Mainstream Conference. Their story appeared in the February 2017 edition of Maintenance Technology Magazine and can be seen here.